Web cam looking at Relay Pk at Mt. Rose provided by High Desert Internet Services. This camera is in a fixed position, it is looking west at Relay PK. Fixed position camera looking Southwest at the upper bowl of Relay Pk. Printable map and a list of SNO-PARK locations. The California Department of Parks and Recreation operates 21 SNO-PARK sites that provide snow-cleared parking lots with sanitation facilities and access to snow play areas, cross-country ski and snowmobile trails. Snow-cleared parking lots cannot be guaranteed on a daily basis because of weather conditions and snow plowing priorities. The SNO-PARK Program is administered by the Off-Highway Motor Vehicle Recreation (OHMVR) Division. Please call the SNO-PARKS hotline at (916) 324 -1222 for more information. 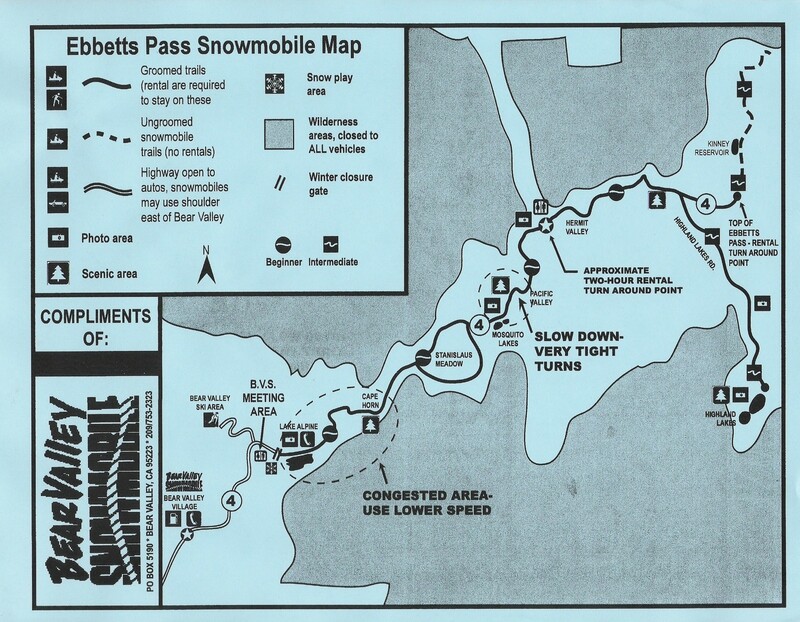 A SNO-PARK permit is required for each vehicle parked at a SNO-PARK site from November 1 through May 30 of each year. Permits are sold as Day Permits or Seasonal Permits by permit vendors throughout northern California. Day permits are sold for $5.00 and are valid for one single day. Season permits are sold for $25.00 and are valid for the entire SNO-PARK season from November 1 through May 30. See Web site for vendor list. The SNO-PARK permit must be displayed on the left side of the vehicle dashboard where it can be seen clearly from outside the vehicle. All permits sold are non-refundable; day permits are non-transferable. Any vehicle parked at a SNO-PARK site without a permit properly displayed is subject to a $75.00 fine. Should you receive a fine and have questions, contact the court or law enforcement office of the County in which the SNO-PARK site is located. Parking is on a first-come, first-served basis at all SNO-PARK sites. No refunds are issued if your favorite SNO-PARK is full. Park and drive carefully within SNO-PARK sites. Watch for pedestrians. Overnight parking, including in-vehicle camping is allowed except where noted or signed at SNO-PARK sites. Tent camping or sleeping outside a vehicle in the parking area is prohibited at all SNO-PARK sites. Do not build campfires on paved areas. Do not litter SNO-PARK sites. Trash containers may not be provided, pack out your own refuse. Carry a shovel and tire chains. Vehicles parked overnight need to be staked at all 4 corners with 1x2 inch by 8-foot poles to prevent accidental damage by snow removal equipment. Lock your vehicle and do not leave items of value in sight. Winter recreation activities may be hazardous. Your common sense, skill level, and use of proper clothing, respect for the terrain and weather all affect your safety. Plan your trip. Call 1 (800) 427-7623 for a CALTRANS recording on highway conditions. Click here for a complete list of where to purchase sno-park permits.